Under normal circumstances, a baby is in the cephalic (vertex) position before delivery. 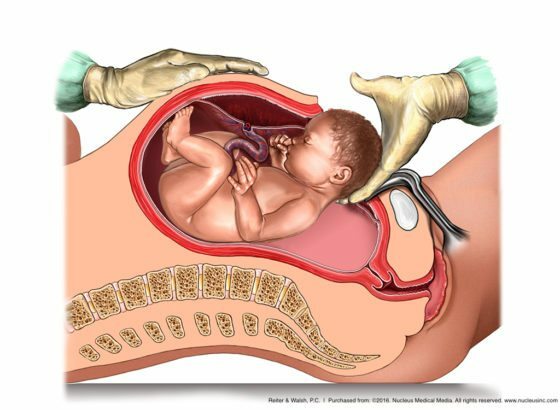 In the cephalic position, the baby’s head is at the lower part of the abdomen in preparation for childbirth; subsequently, a head-first birth occurs. However, some babies present differently before delivery. In these cases, abnormal presentations may place the baby at risk of experiencing umbilical cord problems and/or a birth trauma (1). Types of abnormal fetal positions and presentations include the following. We’ll cover each in more detail on this page. What is the difference between fetal presentation and position? In the womb, a fetus has both a presentation and a position. Presentation refers to the baby’s body that leads, or is expected to lead, out of the birth canal (9). For example, if a baby’s rear is set to come out of the birth canal first, the baby is said to be in “breech presentation.” Position refers to the direction the baby is facing in relation to the mother’s spine (9). A baby could be lying face-first against a mother’s spine, or face up towards the mother’s belly. What way should a baby come out during birth? Vertex presentation is the ‘normal’ way that a baby is positioned for birth and the lowest-risk presentation for vaginal birth. (1). 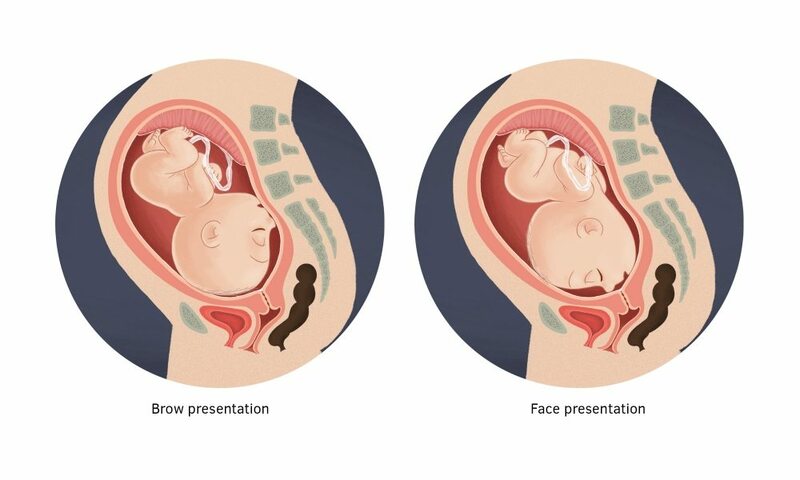 In vertex presentation, the baby is positioned head-first with their occiput (the part of the head close to the base of the skull) entering the birth canal first. In this position, the baby’s chin is tucked into their chest and they are facing the mother’s back (occipito-anterior position). Any position other than vertex position is abnormal and can make vaginal delivery much more difficult or sometimes impossible (2). If a baby’s chin isn’t tucked into their chest, they may come out face-first (face presentation), which can cause birth injury (1). What happens if a baby isn’t in the standard vertex position during birth? Before delivery, it is critical that the fetus is in the standard vertex presentation and within the normal range for weight and size. This helps ensure the safety of both baby and mother during labor. When the baby’s size or position is abnormal, physician intervention is usually warranted (1). This may mean simple manual procedures to help reposition the baby or, in many cases, a planned C-section delivery. The failure of healthcare professionals to identify and quickly resolve issues related to fetal size, weight, and presentation is medical malpractice. There are numerous complications related to abnormal weight, size, abnormal position, or abnormal presentation. In the safest presentation (vertex presentation), the baby is born head first, with the rest of the body following. In a compound presentation, however, there are multiple presenting parts. Most commonly, this means that the baby’s head and an arm come out first at the same time. Sometimes compound presentation can occur with twins where the head of the first twin presents with the extremity of the second twin (3). Compound presentations can be detected via ultrasound before the mother’s water breaks. During labor, compound presentation is identified as an irregular finding during a cervical examination (3). If a mother has polyhydramnios, the risk of compound presentation is higher, as the flow of amniotic fluid when the membranes rupture can sweep extremities into the birth canal, or cause a cord prolapse, which is a medical emergency (3). If compound presentation continues, it is likely to cause dystocia (the baby becoming stuck in the birth canal), which is also a medical emergency (3). Often, the safest way to deliver a baby with compound presentation is C-section, because complications like dystocia and cord prolapse carry risks of severe adverse outcomes, including cerebral palsy, intellectual and developmental disabilities, and hypoxic-ischemic encephalopathy (HIE) (3). Limb presentation during childbirth means that the part of the baby’s body that emerges first is a limb – an arm or a leg. Babies with limb presentation cannot be delivered safely via vaginal delivery; they must be delivered quickly by emergency C-section (4). Limb presentation poses a large risk for dystocia (the baby getting stuck on the mother’s pelvis), which is a medical emergency. Approximately 1 out of 19 babies present in a posterior position rather than an anterior position.This is called an occipitoposterior (OP) position or occiput posterior position (3) In OP position, the baby is head-first with the back part of the head turned towards the mother’s back, rotated to the right (right occipitoposterior position, or ROP), or to the left (left occipitoposterior position, or LOP) of the sacroiliac joint. Occipitoposterior position increases the baby’s risk of experiencing prolonged labor, prolapsed umbilical cord, and use of delivery instruments, such as forceps and vacuum extractors (5). These conditions can cause brain bleeds, a lack of oxygen to the brain, and birth asphyxia. Breech presentation is normal throughout pregnancy. However, by the 37th week, the baby should turn to the cephalic position in time for labor. Breech presentation occurs when a baby’s buttocks or legs are positioned to descend the birth canal first. Breech positions are dangerous because when vaginal delivery is attempted, a baby is at increased risk for prolapsed umbilical cord, traumatic head injury, spinal cord fracture, fatality, and other serious problems with labor (6). Footling breech presentation: In footling position, one or both feet enter the birth canal first, with the buttocks at a higher position than the feet. Kneeling breech presentation: This is when the baby has one or both legs extended at the hips and flexed at the knees. Frank breech presentation: This is when the baby’s buttocks present first, the legs are flexed at the hip and extended at the knees, and the feet are near the ears. Complete breech presentation: In this position, the baby’s hips and knees are flexed so that the baby is sitting cross-legged, with the feet beside the buttocks. A face presentation occurs when the face is the presenting part of the baby. In this position, the baby’s neck is deflexed (extended backward) so that the back of the head touches the baby’s back. This prevents head engagement and descent of the baby through the birth canal. In some cases of face presentation, the trauma of a vaginal delivery causes face deformation and fluid build-up (edema) in the face and upper airway, which often means the baby will need a breathing tube placed in the airway to maintain airway patency and assist breathing (1). Mentum anterior (MA): In this position, the chin is facing the front of the mother. Mentum posterior (MP): The chin is facing the mother’s back, pointing down towards her buttocks in mentum posterior position. In this position, the baby’s head, neck, and shoulders enter the pelvis at the same time, and the pelvis is usually not large enough to accommodate this. Also, an open fetal mouth can push against the bone (sacrum) at the upper and back part of the pelvis, which also can prevent descent of the baby through the birth canal. Mentum transverse (MT): The baby’s chin is facing the side of the birth canal in this position. Babies presenting face-first can sometimes be delivered vaginally, as long as the baby is in MA position (1). Safe vaginal delivery of a term-sized infant in persistent MP position is impossible due to the presenting part of the baby compared to the size of the mother’s pelvis (1). Babies in MP position must be delivered by C-section. Babies in MT position must also be delivered by C-section. Some babies in the MP and MT positions will spontaneously convert to the MA position during the course of labor, which makes vaginal delivery a possibility. If the baby is in the MA position and vaginal delivery is able to proceed, engagement of the presenting part of the baby probably will not occur until the face is at a +2 station (1). The management of face presentation requires close observation of the progress of labor due to the high incidence of CPD with face presentation. In face presentation, the diameter of the presenting part of the head is, on average, 0.7 cm greater than in the normal vertex position (1). In any face presentation situation, if progress in dilation and descent ceases despite adequate contractions, delivery must occur by C-section. In fact, when face presentation occurs, experts recommend liberal use of C-section (1). Since there is an increased risk of trauma to the baby when the face presents, the physician should not try to rotate the baby internally. In addition, the physician must not use vacuum extractors or manual extraction (grasping the baby with hands) to extract the baby from the uterine cavity. Outlet forceps should only be used by experienced physicians; these forceps increase the risk of trauma and brain bleeds. In almost all clinical circumstances a cesarean delivery is the safest method of delivery. Brow presentation is similar to face presentation, but the baby’s neck is less extended. A fetus in brow presentation has the chin untucked, and the neck is extended slightly backward. As the term “brow presentation” suggests, the brow (forehead) is the part that is situated to go through the pelvis first. Vaginal delivery can be difficult or impossible with brow presentation, because the diameter of the presenting part of the head may be too big to safely fit through the pelvis (1). Shoulder presentation (transverse lie) is when the arm, shoulder or trunk of the baby enter the birth canal first. When a baby is in a transverse lie position during labor, C-section is almost always used as the delivery method (8). Mothers who have polyhydramnios (too much amniotic fluid), are pregnant with more than one baby, have placenta previa, or have a baby with intrauterine growth restriction (IUGR) are more likely to have a baby in the transverse lie position (8). Once the membranes rupture, there is an increased risk of umbilical cord prolapse in this position; thus, a C-section should ideally be performed before the membranes break (8). Failure to quickly deliver the baby by C-section when transverse lie presentation is present can cause severe birth asphyxia due to cord compression and trauma to the baby. This can cause hypoxic-ischemic encephalopathy (HIE), seizures, permanent brain damage, and cerebral palsy. 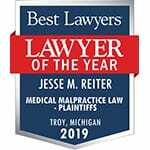 The award-winning birth injury attorneys at Reiter & Walsh, PC have over 100 years of joint experience handling birth trauma cases related to abnormal position or presentation. 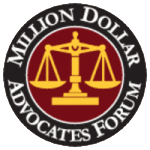 If you believe your loved one’s birth injury resulted from an instance of medical malpractice, you may be entitled to compensation from a medical malpractice or personal injury case. 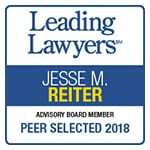 During your free legal consultation, our birth injury attorneys will discuss your case with you, determine if negligence caused your loved one’s injuries, identify the negligent party, and discuss your legal options with you. Julien, S., and Galerneau, F. (2017). Face and brow presentations in labor. Retrieved from https://www.uptodate.com/contents/face-and-brow-presentations-in-labor. World Health Organization, UNICEF, and United Nations Population Fund. Malpositions and malpresentations. Retrieved from http://hetv.org/resources/reproductive-health/impac/Symptoms/Malpositions__malpresetations_S69_S81.html. Barth, W. (2016). Compound fetal presentation. Retrieved from https://www.uptodate.com/contents/compound-fetal-presentation. Gabbe, S.G., … Grobman, W.A. (2017). Compound Presentation. Retrieved from https://expertconsult.inkling.com/read/gabbe-obstetrics-normal-problem-pregnancies-7e/chapter-17/compound-presentation. Argani, C.H. and Satin, A.J. (2018) Occiput posterior position. Retrieved from https://www.uptodate.com/contents/occiput-posterior-position. Hofmeyr, G.J. (2018). Overview of issues related to breech presentation. Retrieved from https://www.uptodate.com/contents/overview-of-issues-related-to-breech-presentation. Hofmeyr, G.J. (2017). Delivery of the fetus in breech presentation. Retrieved from https://www.uptodate.com/contents/delivery-of-the-fetus-in-breech-presentation. Strauss, R.A. (2017). Transverse fetal lie. Retrieved from https://www.uptodate.com/contents/transverse-fetal-lie. Moldenhauer, J.S. (2018). Abnormal Position and Presentation of the Fetus. Retrieved from https://www.merckmanuals.com/home/women-s-health-issues/complications-of-labor-and-delivery/abnormal-position-and-presentation-of-the-fetus.